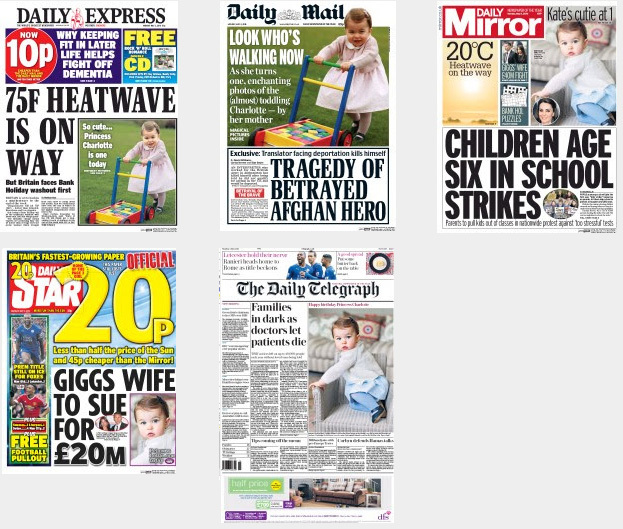 With the release of 4 new official photographs yesterday to mark her first birthday today, it is no surprise that Charlotte was on the front pages of several newspapers today. We can see that 2 of the 4 portraits proved popular with the front pages. She’s such a cutie that I’d have loved to see a full page cover but I understand that there is other news in the world.